Because of the bakery business flexibility, it always brings an acceptable net profit. Some tine private bakeries manage to make only around $21,000 annually. But such bakeries involve only one person. However, on the average, this sort of business is more likely to bring $47,000 annually, which results into $3,900 per month. At the same time, the income of mini-bakery dealing only with bread sales, usually does not exceed 20%, and the payback period is stretched for 2-3 years. Privately owned bakeries are always expanding their product line and are admired by millions of people across the world. It is that type of business where you cannot rely only on monthly indicators. 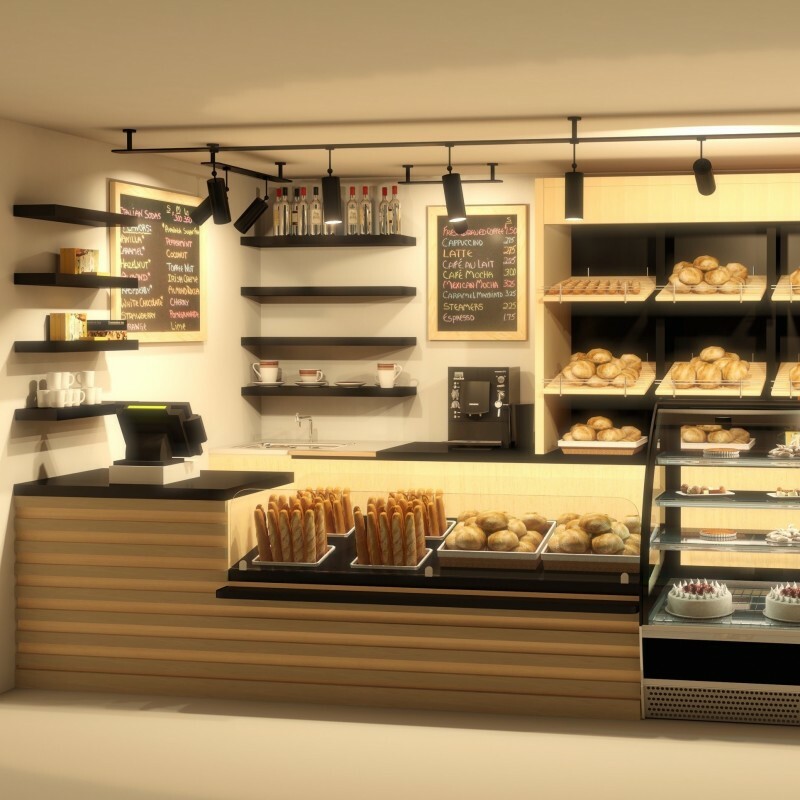 You can choose different alternatives of your bakery project realization. It is possible to sell only breads, cakes, donuts, whatever, or you can simply combine all of the goodies. If we consider that an average bakery produces and sells only rolls, processing about one ton of flour a day while the average weight and cost of baking is $45 per each five oz, then the potential turnover would be $550, gross income – $300, net profit – $280. 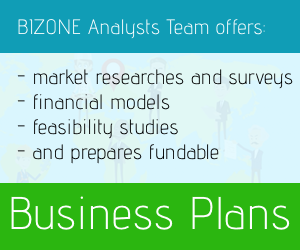 The profitability would reach the mark of 52%. And the payback period would be 1.5 years. Such high earnings are possible due to the fact that the company specializes in the production and sale of bakery products. In this case, profits can reach 50 - 60%. - Whitewashed ceilings and tiled walls. Basically, a small bakery business is not considered seasonal. It is always in steady demand and has nothing to do with season's change. The purchase of equipment (oven, tectonic machinery and small compounds) may result into $15,000 to $22,000. The cost of the bakery equipment depends heavily on the country of origin and its condition (whether it is new or not). As you can see, stoves prices vary greatly with respect to their quality and functions. It’s only your interest to purchase high-quality stove – it’s not the thing to save money on in this business. If you plan to open a house bakery,it will be enough to buy small convection oven which is able to accommodate a maximum of five sheet pans. For bigger private bakery, the owner will certainly need a double convection oven. This one can hold up to twice as many pans. In addition, this wonder allows to bake at two different temperatures. For the same purpose, it might be useful to get special proof boxes. 20 pans – that’s the mobile confirmation box limit. The principal raw material applied for bakeries is flour, of course. In order to bake about 2,000 lb of bread, you will need approximately 1,300 - 1,500 lb of flour. The average prices of flour can be found here: http://www.walmart.com/c/ep/all-purpose-flour. On the average, the wholesale purchase of flour will result into $7,000 to $10,000 for the first operating months, provided that daily bakery will demand from 1,000 to 1,500 lb of flour on the basis of continuous production. http://www.wouters.com/en/raw-materials-for-bakeries/ All of the raw materials can be easily found here. Secondary raw materials for this kind of business contain sugar to add sweetness only to suitable products, fat (for product moisture), major preservatives like calcium propionate and acetic acid, emulsifiers to hold oil and water, various toppings, chemical agents, and artificial flavors (if requested). You should realize that some of the raw materials are optional. It depends on the type of goods you’re going to produce. Gelatin - $4,000 per ton. The bakery rent may vary from $500 to $2,000. 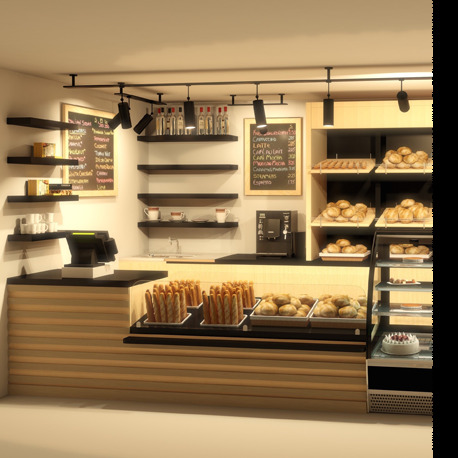 It is desired to open a mini-bakery in passable places because the finished product is being sold to end-customers. In large cities, it may be the area around subway stations, shopping malls, business centers, shops, and cafes. You may hesitate whether a single store or a range of them would be more beneficial. Finally, you can turn your business into a well-developed coffee shop-type bakes. 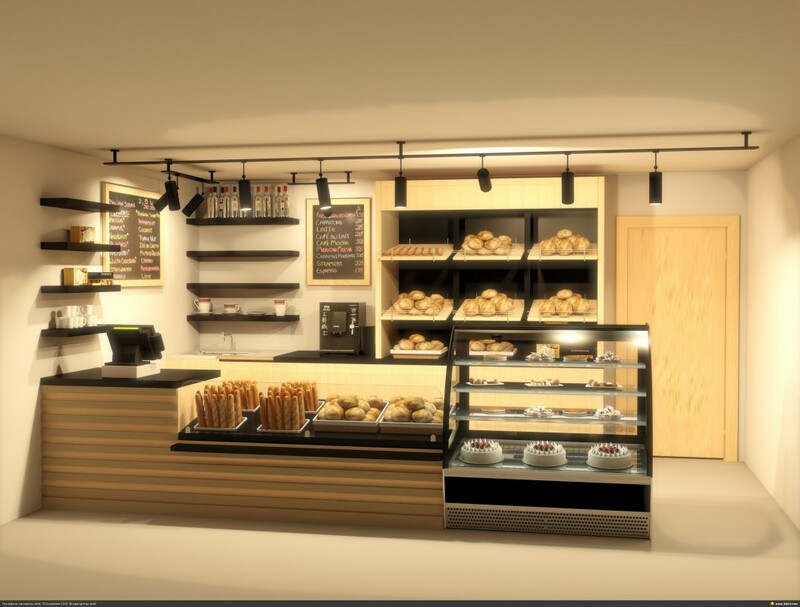 Just before launching private bakery, the one has to prepare a Food Business License from the local council due to the reason all health and food related businesses must be licensed with this body. Besides, it is critical to know all corresponding state regulations by heart. It is all done to pass the inspection. Location size also depends heavily on whether you plan to run a home-based bakery, store or café. What I mean is that when you wish to operate a coffee shop-type bakeshop for serving meals to clients, you will need a separate public restroom with WC. 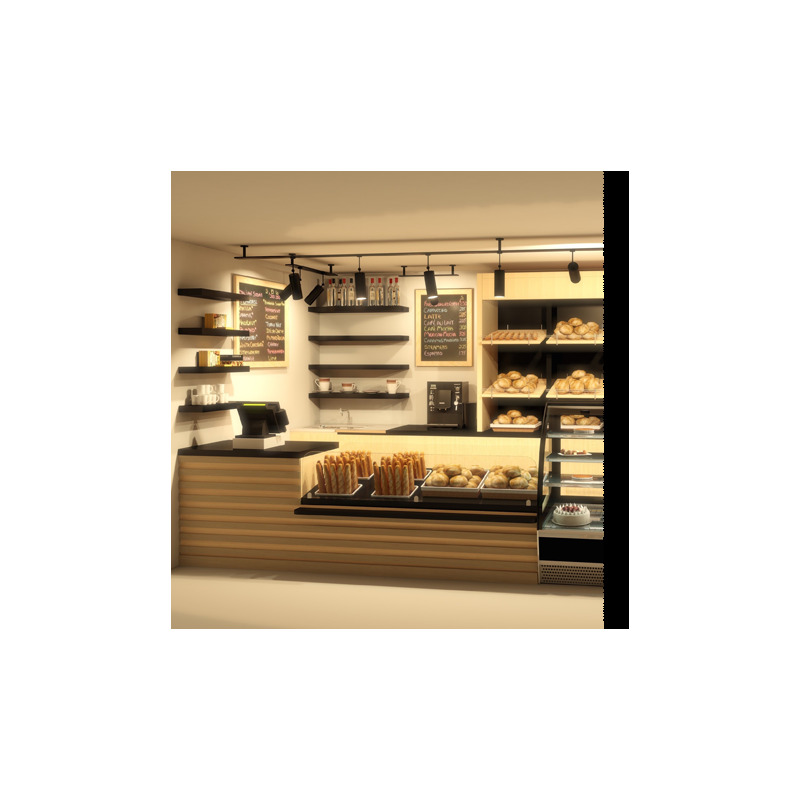 150 square meter premises will be okay for a private small bakery. Such size will suit both the organization of production and trade hall. The price for simply purchasing the ready café fluctuates between $100,000 for the roadside eatery up to $3,000,000 for the elite and cozy bakeshop. To sum up, the main street neighborhood, regular events and celebrations, adequate parking, and few shops nearby will guarantee you at least location success. As a rule, an engineer-technologist is believed to control the whole process of bakery production. He is responsible for the personnel, as well as receipt and installation of equipment. Besides, four bakers (two people per shift), one driver and accountant should be hired. Bakery equipment requires 2 - 4 people for maintenance. Small private bakeries mainly work within two shifts. Thus, the number of employees must match the number of shifts. The average salary of a baker varies from $25,000 to $80,000 depending on his professional level and skills. The technologist responsible for the products selection, as well as the whole process control, earns roughly the same. The delivery of products is engaged into the driver’s duties, whose salary can be set according to the agreement on the basis of his experience and vehicle type. Be ready to spend more than $30,000 per month on staff’s salary.